The VORTTX reporting feature makes compliance for local, state and federal licensing easier to manage. More captivating than traditional tabletop exercises and less expensive than 3rd party facilitators, the VORTTX scenario training changes variables, situations and outcomes based on the choices of staff for an evolving experience. 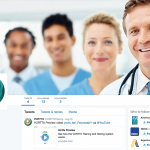 Follow us on Twitter for all the latest on #VTTX (virtual tabletop exercise) and facility management for long term health care. We will bring you the best articles, blog post and advice along with the latest news, updates and features of VORTTX Training.